Identify your target audience through analyzing your past clients' patterns of behavior. Identify the problems your clients have and help solve them. Learn the online behaviors of your target audience, and use them to create a marketing strategy. To make your marketing efforts hit the bull’s-eye, it’s imperative that you identify your target audience accurately. To accomplish this, you need to think about your past year’s clients and try to establish a pattern. For example, what is the gender, age, income level, profession, etc.? There are many other questions — such as, are they first-time homebuyers? Are they permanent residents, or have they relocated due to work? How did they find you? All these things play a crucial role in identifying a target audience. It’s obvious that there will not be a single criterion by which you can identify your customers. There will be a mix of them. Not only do you need to identify the pattern of your client base, but you also need to establish a psychological relation among them. This includes the clients’ interests, what motivates them to purchase a property and what online behaviors influence their decisions. These are the demographics and psychographics of clients that are crucial for every agent to be well-versed in. It’s only after establishing a pattern of your target customers that you can plan your marketing strategy effectively and try to expand your client base. Now the question that arises is how you can reach your target audience. Here are some points that you need to think about during the process with examples of businesses that are making their target market work for them. As I’ve already said, if you think that you can sell homes to everyone, you’re fooling yourself. You need to create a bracket for your customers and narrow down your specific target group. If you think that you can sell homes to everyone, you’re fooling yourself. There are several tools that you can use to achieve this including campaign monitoring, insights and analytics, market automation and document sharing tools. For example, Savills is a famous real estate firm in the UK. Its prerogative is to deliver the highest-quality services to their customers. It does its best to create new opportunities and markets for its clients. A dedicated team named “residential research” divides the market into four parts: UK mainstream, London mainstream, Prime regional and Prime London. Following such classifications, it collects market information, do an in-depth analysis and empower its clients with accurate forecasts. It has more than 200 publications, apart from blogs and videos to interact with the public. It throws a spotlight on issues that are current and invites dialogue with those seeking help online. With an international network of more than 600 offices, it covers all key segments including healthcare, rural, leisure, industrial, commercial, residential, hotel and mixed-use development schemes. This is a large-scale example, but it gives you an idea of what can be done and what’s out there. How you can help your clients is another important question that you need to ask yourself. People will relate more to you if they feel you can help them solve their problems. You need to identify the problems of your clients, such as what qualities they want in their home, what location they are looking for or what type of neighborhood they prefer. Simply trying to sell what you have, even if doesn’t entirely meet the client’s requirements, will only make them averse. On the other hand, if you have a property with specifics meeting their needs, you can highlight this and push the sale. It’s also useful if you can help your client get the finances sorted out for the purchase, more than what other agents can. Foxtons is a famous real estate company with 58 offices across London, Middlesex and Surrey — with expansion plans in the near future. It has built innovative offices that are styled like cafes. It understands the working and living conditions in London, and, therefore, it keeps its offices open longer hours for the convenience of its customers. Its phone lines are open even during weekends and bank holidays, making it accessible to customers easily. This raises the convenience levels for customers and in turn, helps its conversions. As a result, it haves won several awards in 2015 such as The Sunday Times award for “Best UK Large Lettings Agency” and the Webby award for “Mobile Sites and Apps/Utilities and Services” as well as the Estate Agency Award for the year 2014. A lot of customers feel comfortable working with the firm due to the image of success created by Foxtons. As a result, today, Foxtons is a public company. With the use of Internet growing so hugely, it would behoove you to study the online presence of your prospective customers and plan your online marketing campaigns accordingly. For example, if your primary client base is the young generation or first-time homebuyers, it’s likely they will be active on Facebook, Twitter and Instagram. So plan your marketing efforts in that direction by posting pictures of your properties online or creating infographics. You can also create blog posts that talk about the property and give a snapshot of the project. This would give the customer a clearer idea about what to expect, and when they visit, you can be sure they are open to the particular property because they have already looked at it online. Follow a blend of all these marketing activities to reach out your target audience successfully and efficaciously. Hamptons is another business in the real estate industry. It leaves no stone unturned to satisfy its customers. It has studied customer behavior and has aptly developed iPad and iPhone apps. It hit the nail on the head because it knows its target customers are presently online and prefer using technology for most activities. It has developed mobile apps that let its customer find their dream home. This is an attractive feature that draws in more customers, and it gives Hamptons a competitive advantage. 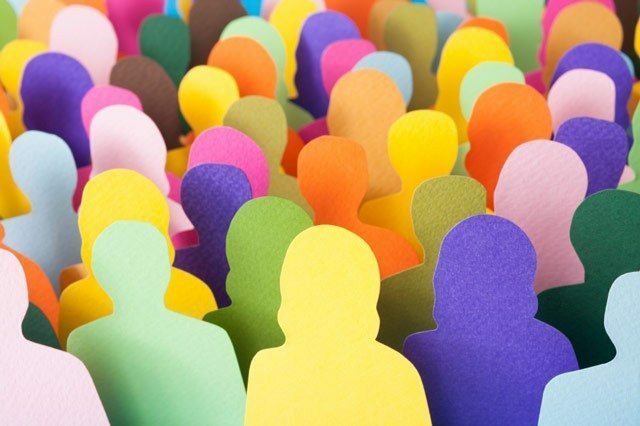 It’s evident that it is crucial to identify your target audience correctly first and then narrow down your marketing efforts to target the primary audience. This approach will give you a better ROI, and you will have better conversion rates. Your marketing efforts will be cost-efficient while helping you grow your business. Your marketing efforts will be cost-efficient while helping you grow your business. Jacey Johnson is an academic counselor for AU Assignment Help. Follow AU Assignment help on Pinterest or Twitter.